With such benefits, edtech is no longer confined to only middle and high school classrooms. Edtech is being used at all grade levels, even pre-K through first grade and in special education classes. In a survey of early childhood educators, some 88 percent said they used technology in the classroom at least once a week. However, usability is key to unlocking the full benefits of technology in the classroom, and it’s an area many where many educators see room for improvement. Almost 30 percent of the survey respondents felt classroom technology could be improved by making it easier to use. Nearly 44 percent commented that it should be more age appropriate, and close to 30 percent wanted more ability to make accommodations to include all students, such as those with disabilities. For young students or those with special needs, the usability struggle often starts with traditional username/password authentication, resulting in lost class time while teachers help students resolve login issues. As a result, educators often resort to other, less than perfect methods to give students access, such as using generic accounts or printed sheets of credentials. 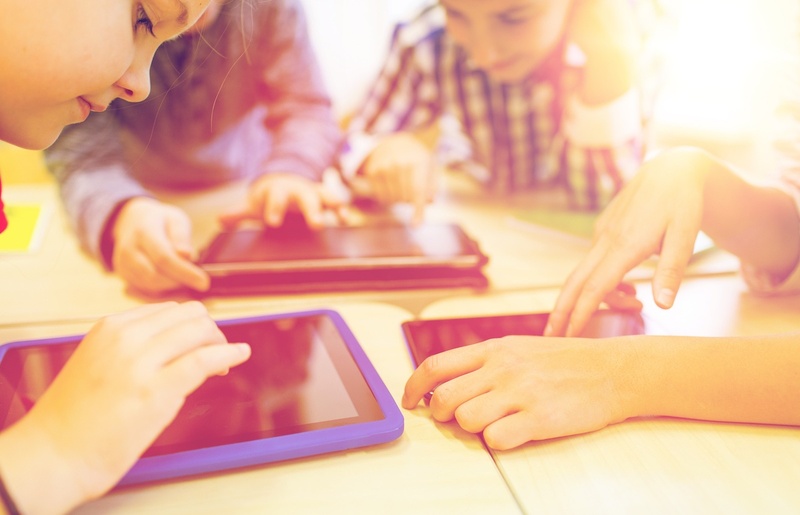 Generic accounts prevent schools from capturing user-specific data and taking full advantage of an application’s features, while using printed sheets assumes the teacher will be logging each student in and exposes credentials to risk. So what’s the solution to this problem? We recommend implementing QR code badges in combination with pictographs for two-factor authentication that is both user-friendly and secure for young and special education students. The first of this two-part blog series examines QR code authentication. The QR part of “QR code” stands for “quick response.” These two-dimensional bar codes rely upon a machine-readable pattern to transmit information. With QR code authentication, a printed QR code badge is held up to a computer’s camera to authenticate a user. The user simply clicks the “Scan QR Code” button on his or her login page, which then activates the camera. Then, he or she holds the badge up to the camera, and the code is scanned. You can use QR codes in more than one mode. The most secure, and the one that we recommend, is to use the QR code badge only for the identification step in the authentication process (in place of a username). During authentication, the user flashes his or her badge and is then prompted for another factor, such as pictograph authentication (again, this is our recommendation). You can also use a QR code in place of both the username and password or only for the verification step of the authentication process, either in addition to a password or as a replacement. However, these options, especially using a QR code badge for both identification and verification, have significant drawbacks from a security perspective. QR code badges are great for users who can’t or are just grasping how to read and write, such as pre-k through first graders and students with special needs. Remembering, let alone typing, usernames and/or passwords poses a challenge for many of these users. QR readers have fast reading capabilities, Students don’t have to type in login credentials, and teachers don’t have to take classroom time to assist students with login issues or to individually log students in. As a result, students are able to get to work faster, teachers have more time to teach, and the help desk isn’t burdened with password reset requests. QR codes don’t require third-party hardware. All you need is the computer’s camera to read QR codes and a standard printer for printing new badges. QR codes also offer several security benefits. They’re encrypted, for starters. And if a QR code badge is lost or stolen, it can easily and remotely be invalidated. You can also combine QR codes with other authentication methods, such as pictograph authentication or a PIN, to increase security through two-factor authentication (2FA). The ability to delegate badge printing enables teachers or other staff members to print out badges themselves, reducing the IT department’s burden. Yet another benefit of QR codes is that badge printing can be customized to accommodate various card stocks and templates. That’s useful if you have branding standards as well as budget constraints. As with anything users must physically have in their possession to authenticate, paper badges can be lost, stolen, forgotten, or easily damaged. If that happens, teachers have to concern themselves with resetting passwords and printing out replacements. Another issue with QR codes is readability. The QR code has to be held up to the camera at the right angle with enough light to be read. First, you’re just replacing something you know (a password) with something you have (the badge). That doesn’t improve security—it simply trades one set of challenges for another. This is further complicated by the fact that classrooms typically don’t have proper privacy and security measures in place for storing QR code badges. For example, when badges are hung on hooks or on a classroom wall, or when students keep in them in their desks, accessing them is quite easy. It’s also very simple for students to switch or mix up badges (either on purpose or accidentally). One student could take another student’s badge in order to cheat on an assignment or to mess with a classmate’s account. QR codes aren’t recommended for protecting access to sensitive information and data. Badges can be replicated with a copier, which virtually all offices and schools have. QR code badges definitely have their advantages. They’re a great method for schools looking for user-friendly and age-appropriate authentication for students who are very young or have special needs. They help bring technology into all classrooms, while overcoming usability and productivity hurdles. However, to overcome the security challenges outlined above, we don’t recommend using QR code badges as a standalone authentication method. Instead, we suggest pairing them with pictograph authentication. Stay tuned for the second part of this series, in which we’ll delve into pictograph authentication and discuss how it can be paired with QR code badges for secure 2FA for early education and special education use cases.